“I loved your movie, THRIVE, but I really wish you had left out the part on ETs,” he said. I was preparing for a screening of our documentary at a national Occupy conference, and the A/V tech was sharing this reflection with me. “I just thought it undermined your credibility,” he continued. He still thought most people weren’t ready for it. As we were finishing our conversation, I sensed someone waiting behind me. I turned to see a young woman eager to talk. “Wow, I’m glad to hear it, how so?” I asked. I can’t overstate how many interactions we at Thrive Movement have had of this nature. 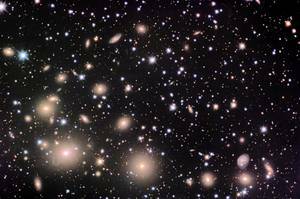 So I want to take a few minutes to share some of my personal reflections on the issue of our having some possible cosmic brothers and sisters. The numerical chances seem infinitesimal that we are the sole self-aware species in the vast cosmos — with billions of planet-filled star systems just in our galaxy (among billions of galaxies). To claim it seems to me beyond ignorance to outright arrogance. There are many claims from well-researched sources that we are being visited by off-planet species and have been for centuries, at least. But unless you’ve had direct contact with a being from somewhere else in the universe, how do you determine what evidence is credible, and what is not? Fortunately, there are researchers who have done some very serious historical accounting on the matter. And there are people who have reported direct contact, whose descriptions match those of the UFO historians and researchers. I am not going to report on the evidence here, but I will link to it below and refer you to the Thrive website article on UFO/ETs describing the results of our research. I am starting here with my leaning that humans are in fact having direct interface with beings and consciousness from other planets. And if we are being visited by beings from other parts of the Cosmos or other vibrational planes, then at least in some significant ways, they are more advanced in their understanding and powers than we are. The chances they “just stopped by for a visit because they were in the neighborhood” are slim, given the intention it takes to travel through time and space with any technology. So they must each be here with various agendas — learning about us and our special capabilities, gathering needed resources, looking for a habitable planet, teaching us about how to relate to energy harmoniously, trying to save the human/Earth experiment by keeping us from blowing ourselves up and “nuking the field” etc. 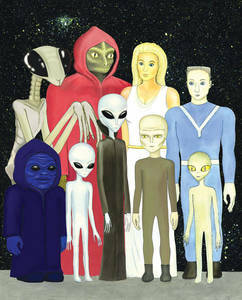 There are many books and interviews with contactees describing what they have been told by off-planet visitors. Who knows the full array of their intentions? If there is any truth to all of this, and their agendas are either benevolent or dangerous or both, to us and to our planet, wouldn’t you want to know it? Imagine for a moment that ETs are here. I am not asking you to believe it, just to try on the idea for a thought experiment. It raises some VERY interesting questions at least, like “How in the world did they get here?” Chances are they are not burning Exxon. They must have a way of accessing energy wherever they are in space. Of course that would fit with the Zero Point Energy theories at the leading edge of the New Physics. I have talked with several contactees who say they not only went voluntarily on ET ships, but were ultimately shown the drive that propels it. Yes, wild stuff, I know. But they each reported the double toroidal, counter-rotating dynamic we illustrated in THRIVE, and they had not previously known one another to agree on a story. But it gets even better. If there is a mini black hole at the center of this power vortex, as posited by Nassim Haramein and reported by various contactees, then that might indicate that the device creates its own gravitational field, encompassing the ship. In such a case, the passengers could be protected from the G-forces of extreme acceleration and acute turns that are often sighted, and which would normally flatten any humans inside. It’s somewhat like riding in a car and throwing a tennis ball up with your hand. Inside the car, it lands in your hand. Out the window, it is quickly swept backward. And…stick with me a little longer… Einstein alerted people that when you alter space through gravity, time is also changed. Voila, a common sense explanation of how beings might travel from other star systems without committing the minimum tens of thousands of years that it would take to travel from the nearest one, Alpha Centauri, by conventional means. Another possibility is that they travel through wormholes from the black hole centers of toroidal systems like suns and galaxies and pop out from the centers of other systems. Of course, when we imagine flying into the Sun, it doesn’t seem viable, but we don’t have advanced ships… Haramein has footage, that NASA posted on the SOHO site and then retracted, showing huge vehicles making right angle turns and going right into the Sun — followed by huge coronal ejections. An additional probability is that ETs inhabit different frequency realms than our usual five senses. Our brain activity itself shows adherence to signature frequencies for sleeping, dreaming, meditating, healing, creating and more. When ships blink out, are they just shifting to frequencies that we can’t see and hear? Is “travel” completely different in those realms? 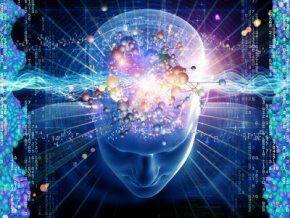 I ran a company in Silicon Valley in the ’80s that did brainwave biofeedback training for relaxation, creativity enhancement and spiritual questing. We saw Yogis, Zen masters and psychics that could shift brain states the way you and I would shift the channels on our remote. Some could be fully alert and talking while exhibiting the brainwaves that most people experience in deep sleep without dreams. We live and sense in a minuscule frequency band of the electromagnetic spectrum that our instruments have now shown us exists. Perhaps other “dimensions” are simply shifts in vibration too. 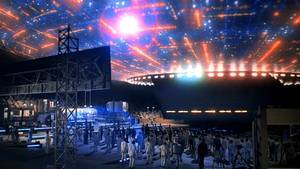 UFO researcher Jaques Vallee, after whom the music-playing professor in Close Encounters of the Third Kind was modeled, suggests that over 80% of the contact that humans have with off-world species is telepathic rather than restricted to the frequencies of sight and sound. I know that many of the most successful technology inventors with whom we are in contact ultimately acknowledge that they have been guided by “interdimensional beings” or actual physical ETs who have much deeper understanding of the workings of energy and the cosmos than the scientist’s own education and rational mind would provide. I know that I was personally guided internally for years — in dreams, meditation, hunches and hyper-flow work states to be able to 3D model the atoms of the periodic table of elements in ways that would have been beyond my knowledge and standard thinking. Do a search sometime for “Akashic Records” if you are not familiar with the concept of a “field of intelligence” to see how initiates have apparently been tapping it throughout history. Am I certain this is true? No. I can’t prove the contact, but the weight of the reports and the correlation with real world developments is far too compelling to ignore, especially if I really am more committed to discovering truth than to maintaining a fixed worldview. The five species most commonly reported by contactees are the Greys (small and tall), Nordics, Felines, Reptilians, and Mantids. Some say there are over 50. Some are said to be shape-shifters who walk among us. So just maybe we are already living in some sort of shy, ephemeral, covert version of the Star Wars bar! This is an utterly vast topic, and it can’t be covered in a blog or a lifetime. I am nonetheless confident it is hugely relevant to the fields of energy, consciousness, science, relations, spirituality and much more. In relation to the ongoing Thrive liberty conversation, when I consider the prospect of involuntary interbreeding, or secret deals between ETs and governments that want to rule us, I am reminded that no matter how wise, powerful or technically advanced beings from other worlds of planes might be, the bottom line always needs to be respect for the sovereignty of each individual and honoring of the Non-Aggression Principle. We can learn from all beings but we should subjugate ourselves to no one. Richard Dolan will be our special expert guest on our next ThriveTogether live think-tank event, ETs Among Us? — Who, How and Why on January 17th from 10am–noon PST. I invite you to subscribe and join us for this and future explorations, or catch the archived versions. That’s my 2 cents (or bitcoins). What do you think about all of that? Do you think there is sentient life besides us in the cosmos? Do you think there are beings more advanced than us, and if so, in what ways? Do you think some of them have been visiting Earth? If so, what do you think they are here for? 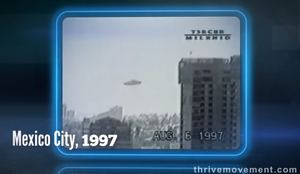 If we are having extraterrestrial visitors, why do you think they haven’t been more obvious and public about it? Do you think some ETs might have played a part in the missing link of our evolution? Do you want to have contact personally, and if so, why?